Besides great craft beer, Toronto has the largest Hollywood set outside of Hollywood. 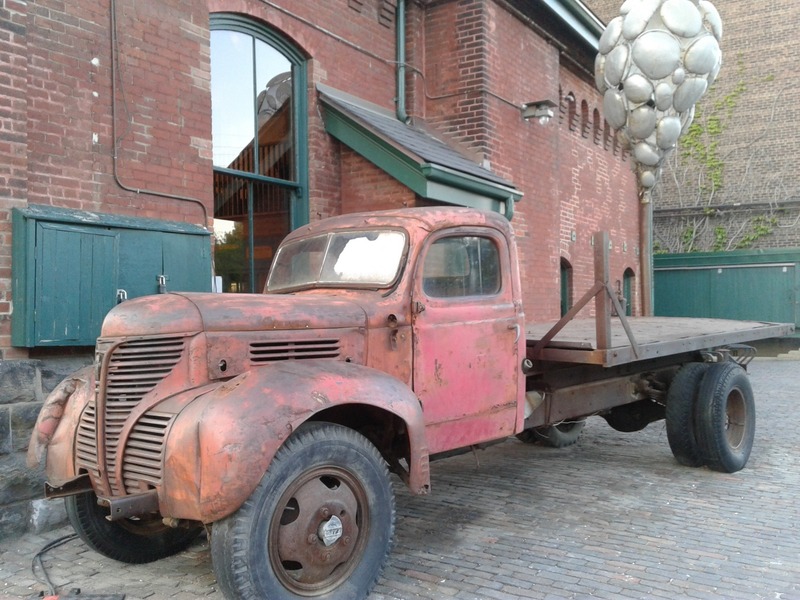 Toronto Distillery District is a must see Toronto District. Located just east of Downtown this district will make you feel like you are traveling in time. Only one place in Toronto can deliver this special romantic European feeling and that place is a national historic site, Toronto`s Distillery District. It is also the largest Hollywood set outside the Hollywood. This is exactly where Chicago, Cinderella Man, Don’t Say a Word and other movies were filmed. Originally there was a windmill here which explains the name of the Mill street, being one of the distillery`s 10 streets of best preserved 1800`s industrial buildings in North America. In 1869 Gooderham and Worts was founded here, once the world`s largest whiskey producer and the largest distiller in Canada that used to produce two million gallons of whiskey a year. It took 400 workers and one and a half years of work to turn disaster of Victorian Industrial Heritage to beautiful pedestrian-only district filled with unique no-franchise boutiques, art galleries and restaurants. From cozy summer patios to winter wonderland during the Christmas Market, Distillery District promises its visitors fun all year round. 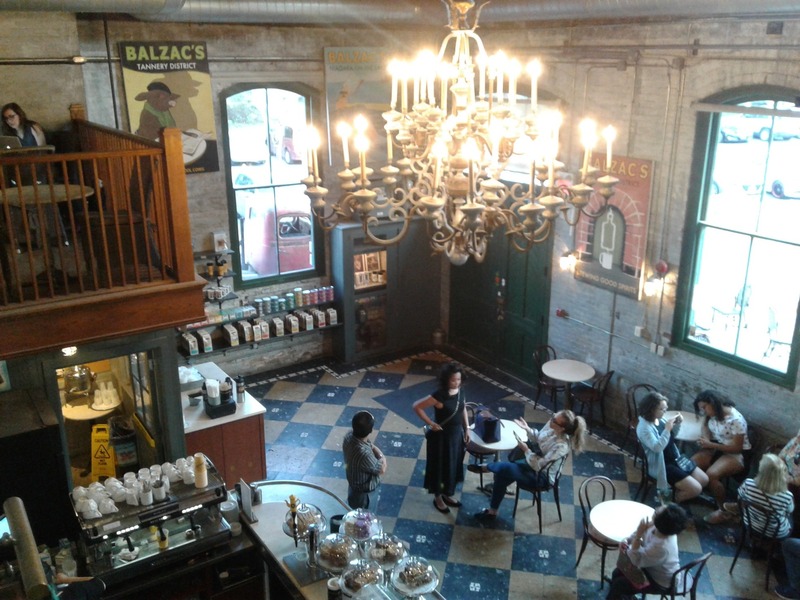 Even though there are thirteen retail locations of Balzac's Coffee Roasters around Ontario, this shop is a particularly special as it is located in an 1895 Pump House that was transformed into a two storey Grand Parisian style café. Honoré de Balzac, French novelist of 19th century was a big coffee aficionados. Balzac used to write about unmarried middle-aged woman and ironically you can see some of those woman in this café as well. If you are a fan of a quality Arabica beans, this place will make your coffee dreams come true. This delicious Mexican restaurant serves both authentic and modern Mexican cuisine. Best tacos in town can be found here. Particularly known for a 5 000 square feet heated patio this place was awarded in 2013 as best restaurant for a first date. What can be more relaxing than sipping some cold Corona with lime on the gorgeous patio during a hot summer afternoon? Running from mid - November until December 23rd this market brings on Christmas spirit every year. 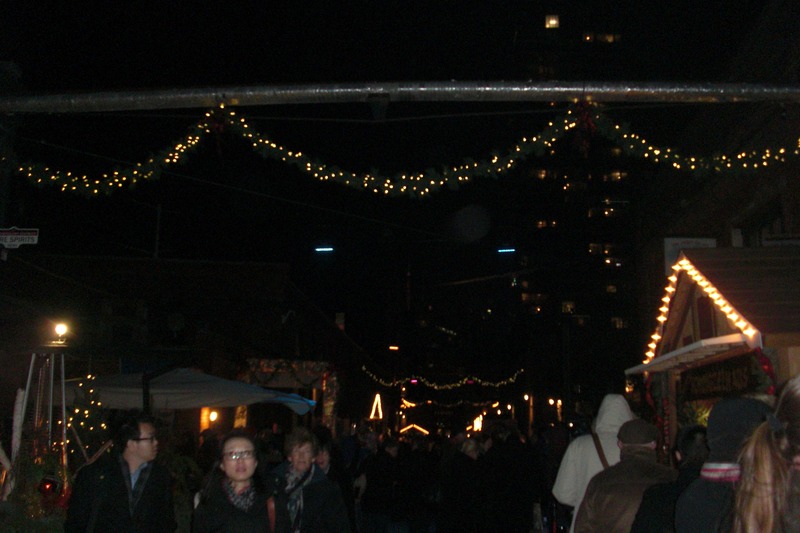 Hot wine, schnitzels and gingerbread could not taste any better as it is in a fresh crispy air during this amazing outdoor market. Meet Santa Claus, buy ornaments for your Christmas tree and get some of that Christmas shopping off your list. Just like European Christmas markets it has outdoor performances. Make sure you stop to watch some of them and sing Christmas carols along with a choir. Admission is free of charge on weekdays until Friday at 5 pm when it becomes 6.00 CAD per person for the weekend. 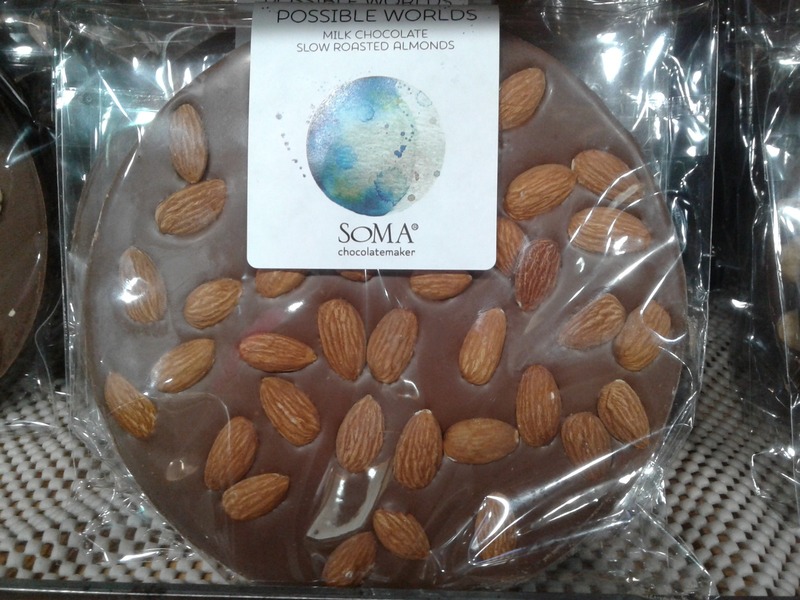 Seducing smell of freshly made chocolate will lead you to SOMA Chocolatemaker. This micro chocolate factory is located right in a middle of the Distillery District action. The best chocolate in town can be found here and gelato tastes like the real gelato I had in Italy. If you have a sweet tooth – you must try their drinking chocolate, organic chocolate bars with different flavours and citrus caramel truffles. Your taste buds will have celebration like no other. 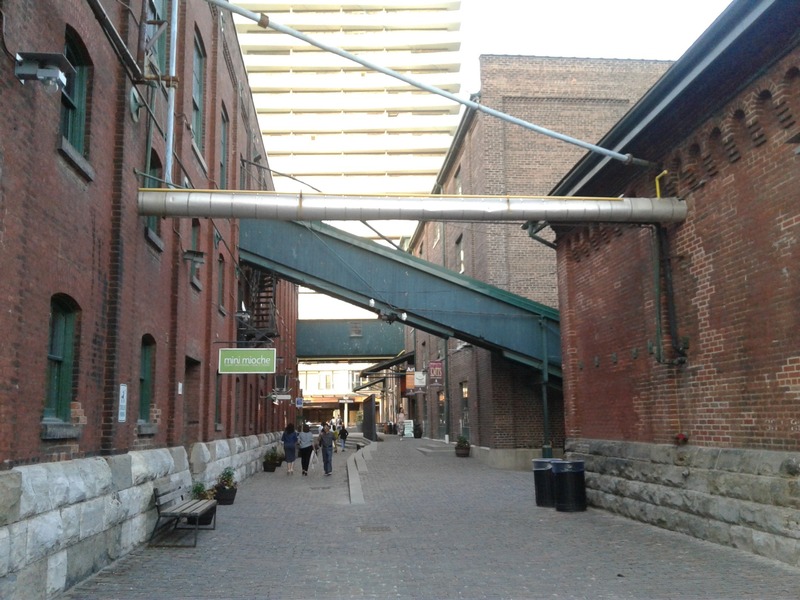 Arta Gallery is one of six art galleries in Toronto's historic Distillery District. It first opened in 2003. Arta Gallery showcases the works of both Canadian and International artists. You can also rent out the art space here. It makes perfect sense for this microbrewery to be located in The Distillery. Originally Mill Street Brewery was the first commercial micro-brewery to open up more than 100 years ago in Toronto’s East. Come down here to chill inside or on the patio and choose between 6 tasty year round brews or perhaps try some of the newer additions to the family: Small-batch gin, Single barrel whiskey or Bierschnaps. Daily tours are available for curios guests. This small and cozy store is unique in a way that you can find works of several designers here all at once, suitable for both man and woman. Unique flower looking purses from by-Lin, accessories from Pig&Hen and modern jewelry from Michelle Ross, Lisa Ridout, Pamela Lauz and Bernd Wolf. If you need a little bit of Shopping Therapy – this store is definitely worth stopping by. From the Love Sign to the Giant Spider, Distillery district is also filled with interesting spots and statues. Do check out the Piece Sign that contains of many different religious symbols of all religions that are represented in Canada. 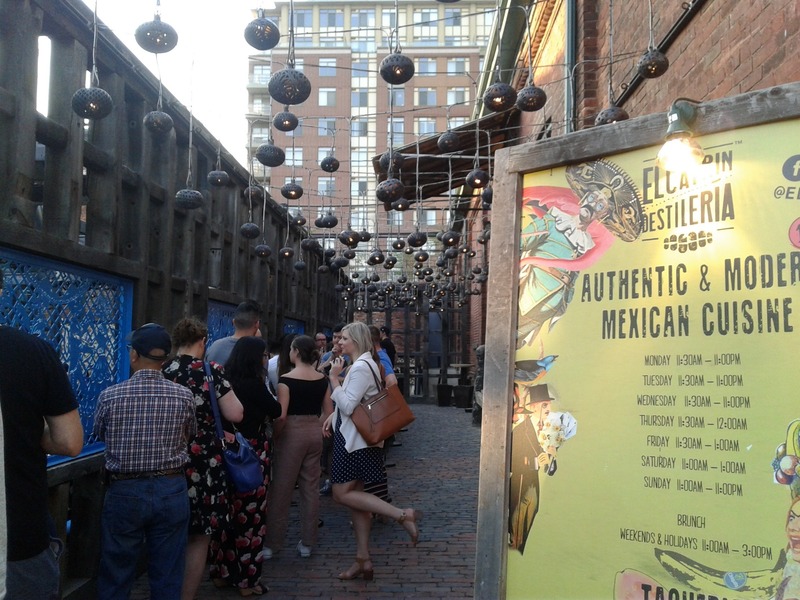 The best live events are being held in the Distillery District’s every Saturday. The Distillery district Sunday Market is Toronto's best-curated weekly market with delicious maple syrup, sausages, honey, cheeses, and more treats to brighten your weekend. It runs from end of May to mid October. You also can catch Classic Distillery District Walking tour every day at 11:30 am and 1:30 pm from Go Tours located in the Distillery District. It costs 21.00 CAD plus HST and lasts for one hour where you will find out story of the world’s former largest distillery. What are you waiting for? 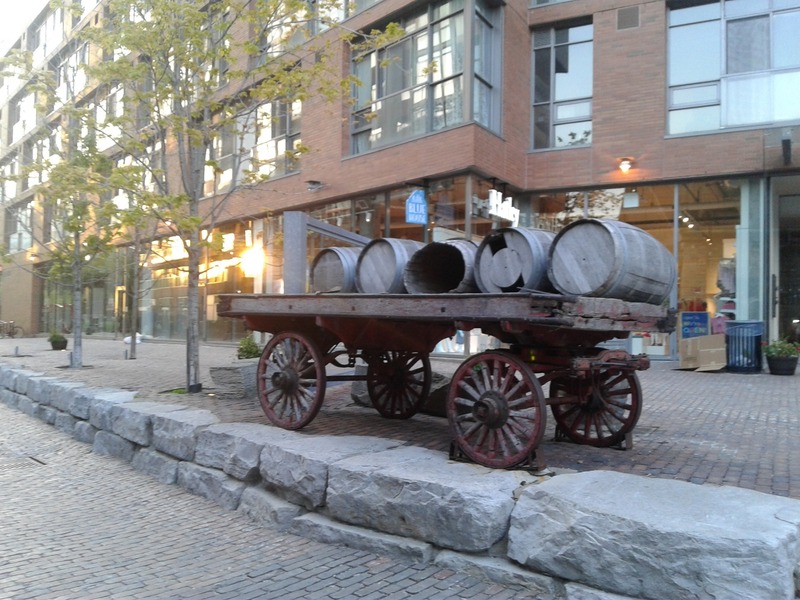 Walk Distillery District brick-paved streets, touch old walls, smell the history and picture yourself in the 1800's in this beautiful neighborhood. 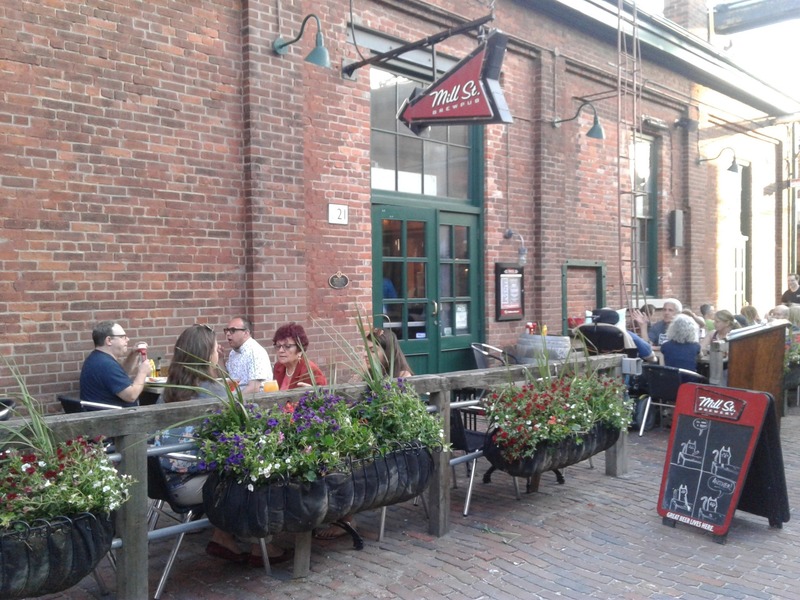 Either you unwind here after work or bring your entire family on a weekend, you will definitely enjoy and appreciate the Distillery Historic District. If you come to Toronto you have to come to the Distillery District.